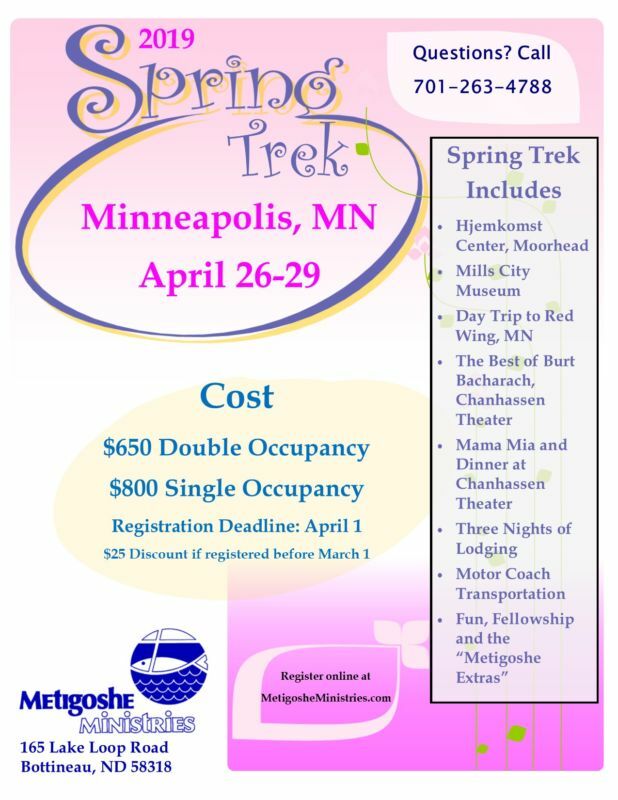 Join us for our annual Spring Trek. This year we will be traveling to Minneapolis. Cost of the trip includes transportation, lodging, various tours and theater productions. We do all the planning…all you need to do is register and hop on the bus! See flyer below for more details.